I was able to review a few eye shadows from Orglamix a few months ago, and since then, I’ve been using those colors non-stop. In fact, I’ve really come to see the light when it comes to mineral makeup, especially color cosmetics that are healthy and natural, and when I recently sat down to inventory what makeup I actually own, I threw out a LOT of crap I’ve collected over the years, and then put my Orglamix colors at the top of my ‘favorites’ pile. While writing my first review, I noticed a set of colors intended exclusively for blue eyes–just the right colors to make the blue pop and look complimented. 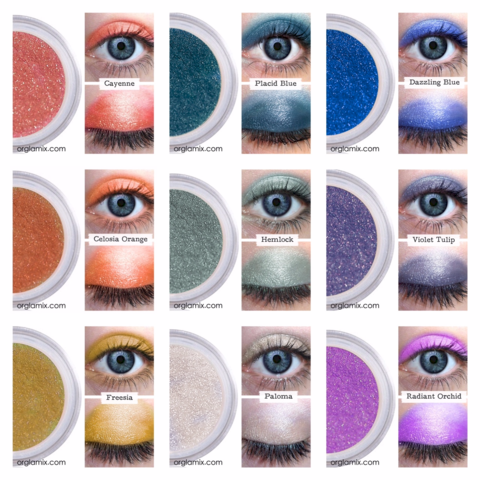 Before I show you this dream set, check out all the gorgeous colors from Orglamix! They carry DOZENS of shades–a full spectrum of subtle to vibrant, soft to intense. Whatever you’re going for, you’re bound to find just the shades of highlighters, base colors or accents you have in mind. I literally have over a dozen favorites that I would LOVE to get my hands on. Ok, let me know you my new favorite set of three: the Blue Eyes Play Collection, which includes the colors Buttercup, Silk, and Fig and sold for $19.95. Purchasing a set is a smart choice considering the bought separately, these are priced at $10/each. I love that experts have combined these three to create the best enhancement that features blue eyes, and that I didn’t have to do the guesswork on coming up with the best trio of colors. This set for blue eyes includes Fig, Silk, and Buttercup. Buttercup looks a little more yellow (vs. cream) in person, but it still works great with the other two. Â I think the three are so pretty together, and this makeup is top-notch. It doesn’t clump or crease, and it lasts the entire day. It goes on easily, blends well, and the rich colors keep their intensity. 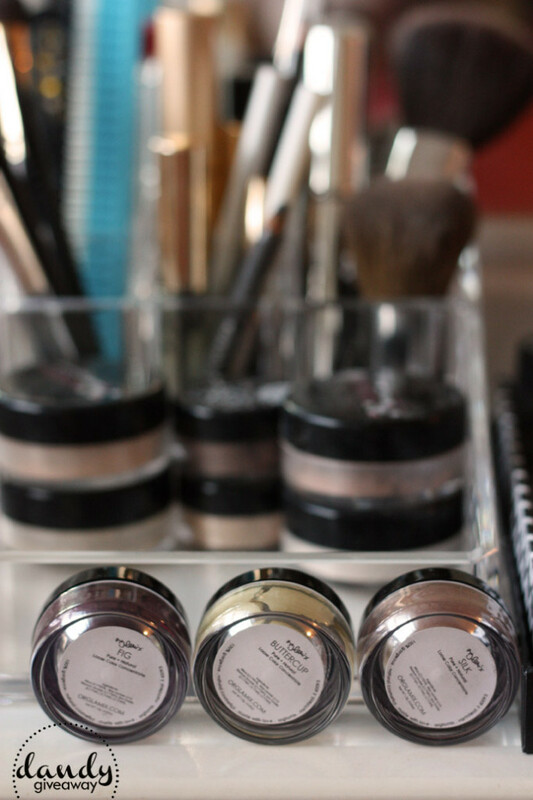 Â Know that only good stuff is going onto yourÂ delicate eyelids.Â Orglamix makeup is healthy, natural, cruelty-free, PETA approved and free from harsh chemicals,Â synthetic dyes, fillers and nano-particles. 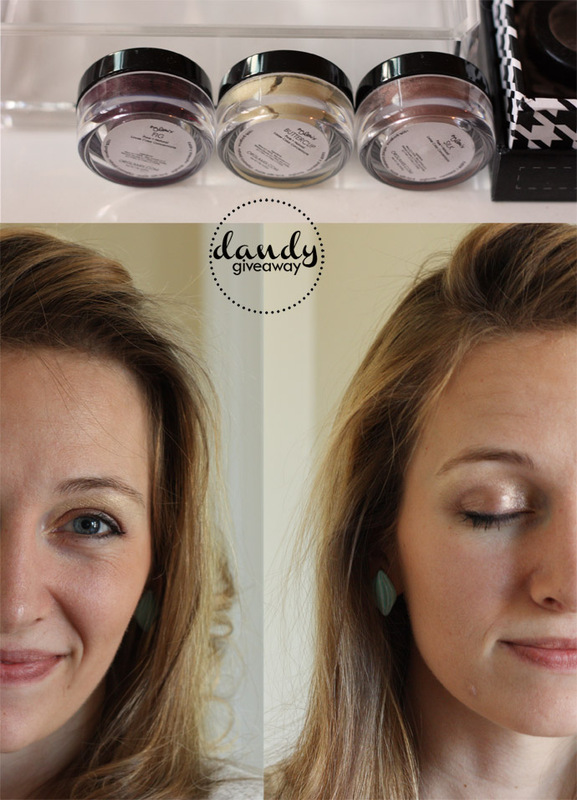 One super lucky girl will win a $20 gift certificate to Orglamix.com!Â If you’re a blue-eyed babe, go for the Blue Eyes Play Collection ($19.95)! !